This book has become possible with the Grace of Lord Shiva and every valuable word in this book is only due to his Blessings. This Book is dedicated to the advancement and development of the good in people. The primary aim of this book is to make our lives as well as those of others, better and better by improving ourselves continuously. After bowing to my Lord Shiva, let me take this moment to thank the person who has been an influence so strong and supportive in my life that she is second only to my Lord himself. She is none other than my respected and adorable mother, Smt. Jeewan Lata. So much can be said about her contribution to my life and her support in making me what I am today, that a whole book can be written about it! But, I will consider her like my Lord himself and hence move onto the next person, after bowing to her, as even an ocean of words can’t describe her real contribution in my life and for this book. Second on the list of acknowledgments is my dear and respected father Lt. Sh. Bodh Raj Shangari. Though he left us when I was only nine, the mere fact that he along with my mother brought me to this world, makes me indebted to him for this life as well as for many lives to come. God Bless your soul father, wherever you are! Even though you are physically not with me anymore, you have always been present in my mind, through all the sweet memories of my childhood and you will always be. Let me now take this opportunity to thank my dearest friend, Sh. 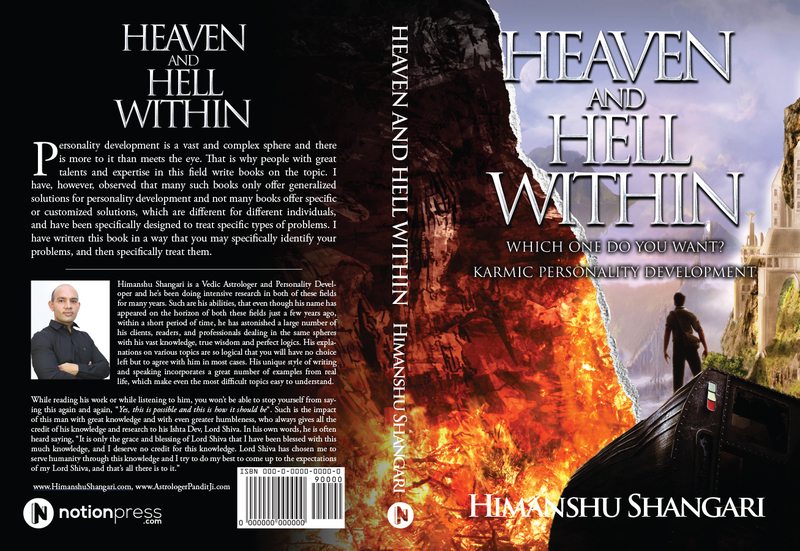 Yusuf Kirmani, as without his effort, influence and support, this book would not have been possible at all! Making this book a reality was a priority for him, even more than it was for me and hence he is to be credited for this book, more than I should be. I am very lucky to have a true friend like you, dear brother, and I can’t thank you enough for your time, effort and support, and hence, I won’t even try! This entry was posted in Karmic, Motivation, Personality Development, Spiritual by Himanshu Shangari. Bookmark the permalink.